The famous Grateful Dead song, “Truckin’ was playing in my head throughout this awesome commercial shoot for NV Transport, Inc. located in Troutdale, Oregon! 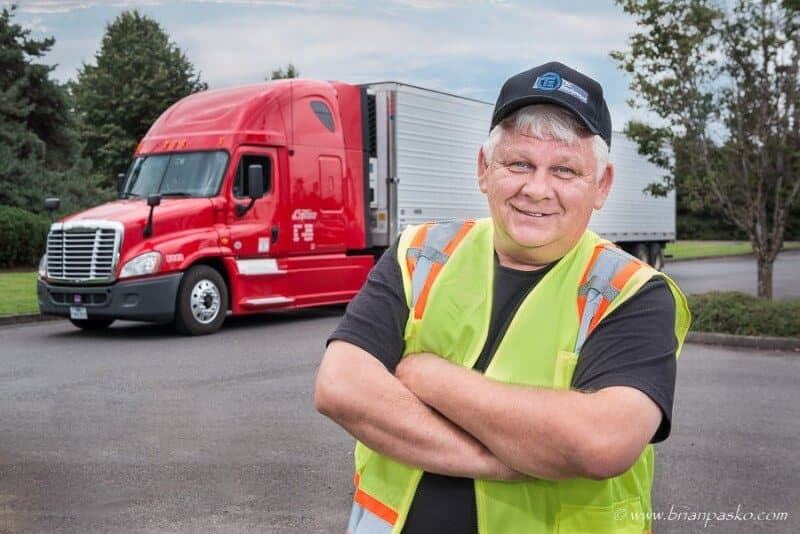 NV Transport is a family owned business full of some really fun, hard-working people who are doing a great job stimulating the economy out here in Clackamas County, Oregon! (Click on the images below to see larger versions). I was brought onto this project for my skill in photographing landscape images in the Columbia River Gorge. NV Transport was specifically interested in a “beauty shot” of one of their trucks that showed off the company’s Oregon roots. So, we set out to create the perfect image for them. I positioned myself at an overpass over Interstate 84 as it passes by Corbett Oregon and photographed the truck as it drove by. 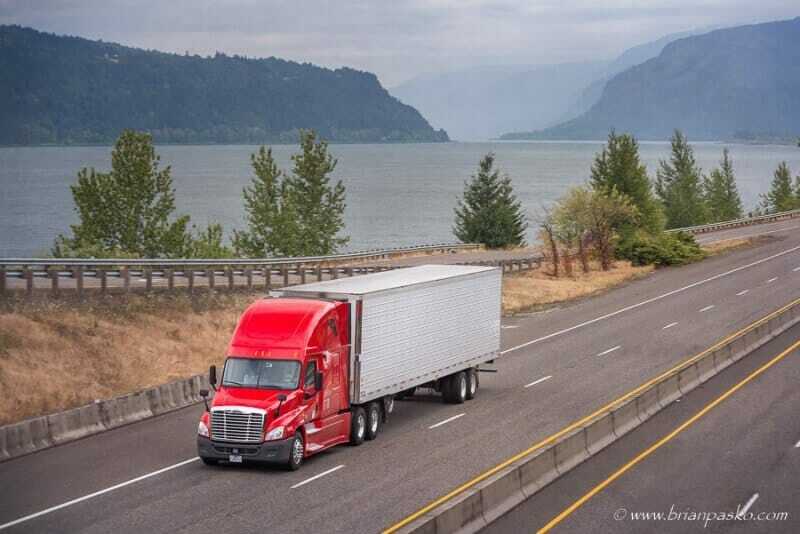 It took us several takes to figure out how to minimize the amount of traffic surrounding the truck and to get the perfect angle showing off the beauty of the Columbia River and the Mountains behind it. 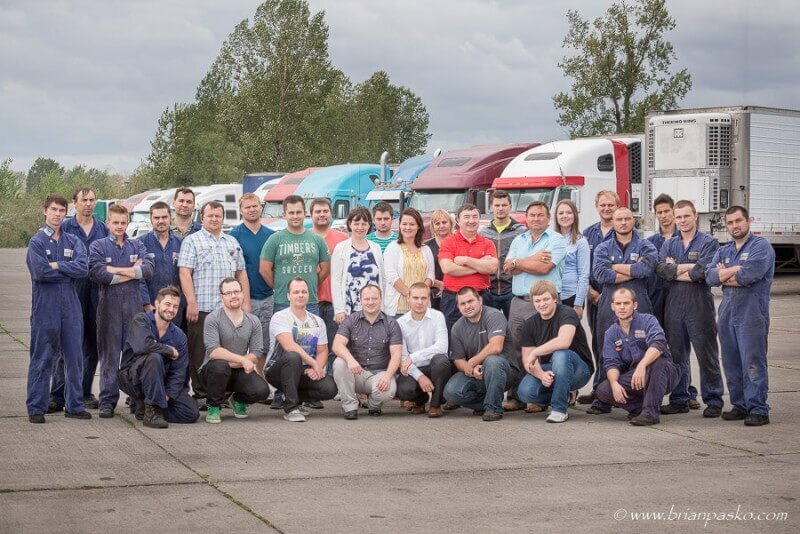 Of course, we took some time to take a portrait of their entire team as well, from owners to operator, mechanics, and administrative staff. NV Transport provides excellent nationwide dry and refrigerated freight delivery along with drayage services as well as a large variety of other services such as brokerage, owner operator opportunities, partial loads, local and long distance dispatch, trailer reloading, towing, truck and trailer lease to own program, referral programs, fuel cards, quick pay and much more. Are you a business in need of website images, headshots of your staff, or other forms of commercial photography? Please contact me for a free consultation and price quote!